ED wishing you all the best this season and always. HAPPY HOLIDAYS! 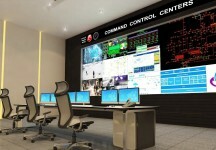 ED awarded the design and project management of multiple control and operations room for large key clients in the U.A.E.